Again with the rhubarb - yes, I STILL can't get enough. And not only is it tart, it's spiced up with fresh, grated ginger. 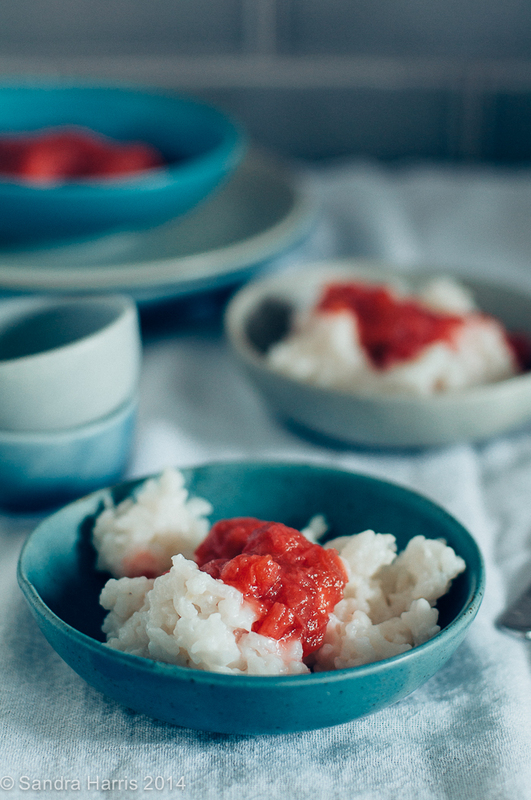 But rhubarb isn't the main player - that'd be the coconut rice pudding. Sweet, rich, tropical goodness with a kick of rhubarb. Although it's technically a dessert, it made a few appearances at breakfast as well. Mid-afternoon? A little then too. Okay, let's be honest - a few times I found the man standing at the fridge eating it out of the pyrex. I might have done that too. Place the rice and water in a saucepan over medium heat and bring to the boil. Cook for 10 minutes or until almost all of the water has been absorbed. Add the coconut milk and sugar and stir to combine. Reduce the heat to low, cover with a tight-fitting lid and cook for a further 5–8 minutes or until the rice is cooked. Combine rhubarb, brown sugar and ginger in a saucepan over medium heat. Cook for approximately 10 minutes until soft but not mushy. 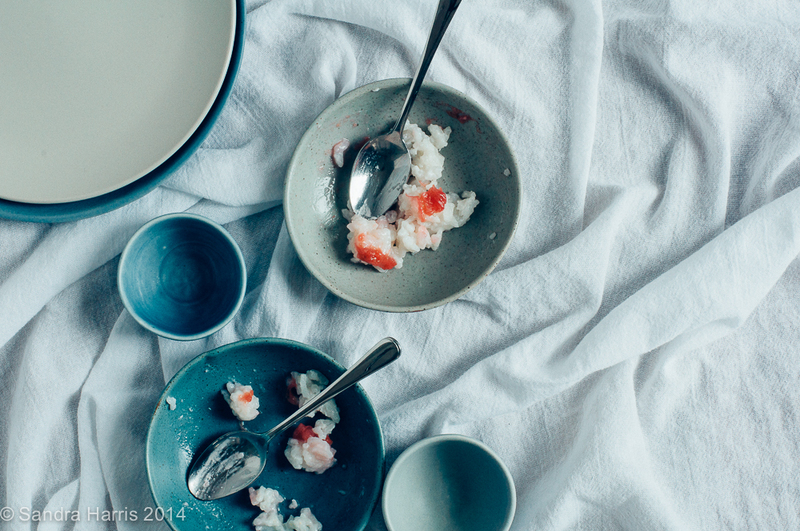 Taste and adjust sugar (you'll want it a bit tart as the rice pudding is quite sweet).